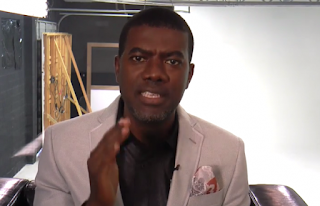 Former senior special assistant to ex-President Goodluck Jonathan, Reno Omokri, has lambasted Minister of Information, Lai Mohammed for saying Jonathan did nothing months after the abduction of Chibok Girls by Boko Haram in April 2014. Lai Mohammed in a statement yesterday scolded the Bring Back Our Girls (BBOG) group, stating that their use of ‘impudent’ language should “should have been reserved for those who did nothing in the first 500 days of the girls’ abduction”. In a reaction on Tuesday titled ‘Lai Mohammed Manifests the Lie In His Name’, Reno said Nigerians knew that Lai Mohammed was synonymous with lying and it that it was no wonder that the Oby Ezekwesili led BBOG were firing at him. It reads: “To say that the Jonathan administration ‘did nothing’ to rescue the Chibok girls is a lie that will not go unchallenged. “I will now give a timeline of events to prove unequivocally that Lai Mohammed is a liar and his words should henceforth be taken with a pinch of salt by Nigerians and the international community. “March 12, 2014: The then minister of state for education, Mr. Nyesom Wike, wrote the Governors of Borno, Yobe and Adamawa and advised them not to hold SSCE examinations in areas susceptible to the Boko Haram insurgency. This letter, with reference number HMSE/FME/147/VOL.1/150 and titled: ‘Security challenges and the conduct of the 2014 WASSCE and SSCE in Borno, Yobe and parts of Adamawa States’, is still available today should Lai Mohammed wish to read it. April 14, 2014: Contrary to the advise given by the PDP led Federal Government of President Goodluck Jonathan, the APC led Government of Governor Kashim Shettima, for reasons best known to it, chose to ignore that advise and held the SSCE examinations in Chibok, a mainly Christian town that was susceptible to attacks from the Islamic extremist group, Boko Haram. On the day in question, the girls of Government Girls Secondary School Chibok were kidnaped by Boko Haram while preparing to write their final physics examinations. “Flash forward to April 2, 2016: Governor Kashim Shettima confesses in an interview with Premium Times that he, the chief security officer of the state, DID NOT inform then President Jonathan when the girls were kidnapped for reasons best known to him. “April 17, 2014: Exactly three days after the kidnap, President Jonathan who had been unaware of the issue because of the deliberate refusal of the APC led government of Borno state to brief him called for an emergency meeting at the Presidential villa. “May 4, 2014: After consistent confused and contradictory information from the Borno state Government and various other authority figures, the Presidency invited the principal actors in the Chibok saga to the Presidential villa to ascertain the truth. The Presidency was shocked at the non appearance by officials of the Borno state government. The governor’s wife who was invited shunned the event and when the then First Lady, Dame Patience Jonathan saw the scanty representation from Borno she famously exclaimed ‘na only you waka come’? “May 6, 2014: The then National Publicity Secretary of the APC and now the current minister of information, Lai Mohammed, released a statement calling the Presidency’s intervention a ‘distraction’. “May 26, 2014: The Nigerian military revealed through Chief of Defence Staff, Air Marshal Alex Badeh, that it knew the location of the girls but could not attack because of fear of loss of lives of the girls after a similar operation in Sokoto to save an Italian and a Briton led to loss of lives of the hostages taken by an affiliate of Boko Haram. “Unspecified Date in May 2014: The Jonathan administration began secret negotiations to secure the release of the Chibok girls. “October 6, 2014: Then President Jonathan visits Niamey as part of efforts to secure the release of the Chibok girls with the help of the Nigerien government. “October 17, 2014: A truce was announced with Boko Haram after negotiations which was to allow for the release of the Chibok girls. The truce was broken by Boko Haram who reneged on their promise to release their captives. “There are other actions taken by the Jonathan admin which I have not listed here but the point I am making is that for Alhahi Lai Mohammed to say that that government did nothing is not just a lie, but a shameless attempt to rewrite history by a man who has scant regard for the truth. “It is my prayer that the Chibok girls will be released but for that to happen, there must be complete transparency and truthfulness from government.